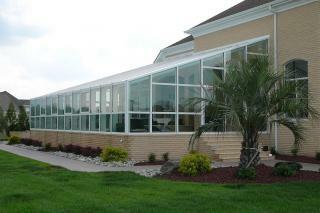 Pool Enclosures, Inc. offer many styles of swimming pool enclosures, pictured here are (2) residential lean-to shapes. 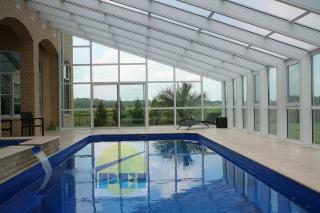 The top photo has a glass roof and the bottom has a polycarbonate roof. 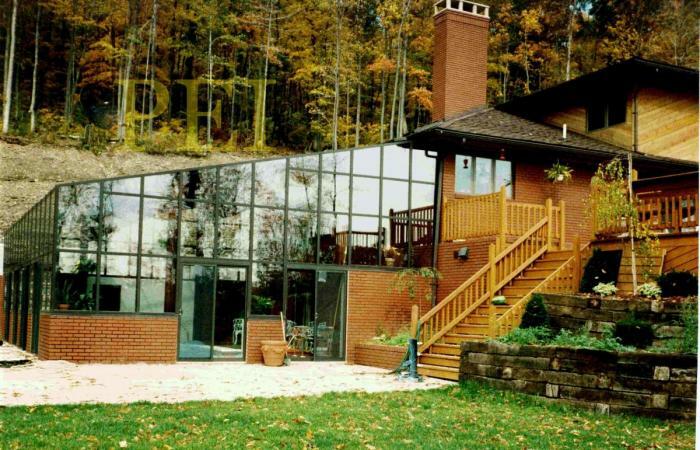 The 25mm (1" thick) multi-wall polycarbonate roof glazing is extruded in sheet lengths up to 39' long that allows for less horizontal aluminum capping that a glass roof would have.